Ningbo Sanyun Plastic Machinery Factory is a famous enterprise for manufacturing plastic injection molding machines, which is a "star enterprise" in Zhejiang province. Adopting advanced equipment and technique, managed scientifically with MIS. At present, it has reported the state audits of implementation of ISO 9000 quality assurance system. SY series injection molding machines(injection capacity from 68 grams to 1000 grams) have over twenty specifications. 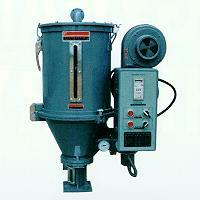 The machines enjoy advantages such as advanced design, high efficiency, and low power consumption, low noise. In 1984, "SY" injection molding machine was award the title of "gold award" by the Ministry of Light Industry. They are well received by the customers at home and abroad.